In an earlier post (The Forgotten) I reflected on the moral and historical insignificance of the eight pastors who were the recipients of King’s Letter from a Birmingham Jail, noting that while King is revered they are forgotten. I implied that they lacked the courage and moral fortitude to challenge the status quo. After reading Edward Gilbreath’s new book, Birmingham Revolution: Martin Luther King Jr.’s Epic Challenge to the Church I’ve realized that my assessment was naïve and unfair, particularly to the two evangelical pastors in the group; Edward Ramage a synod leader of the Alabama Presbyterian Church, and Earl Stallings, the pastor of First Baptist Church in Birmingham. 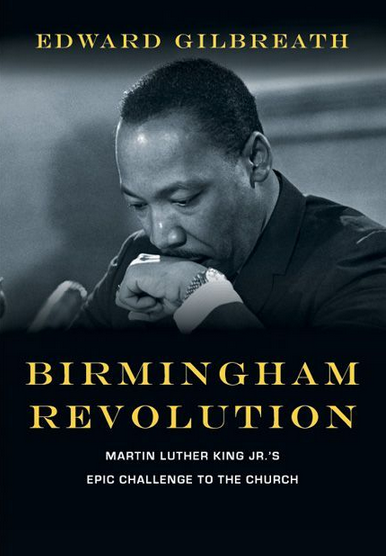 King’s letter was a response to a joint statement issued by the eight pastors in April of 1963 where they urged for restraint and patience, trusting the courts to eventually deal with the inequities and atrocities that had become the norm in Birmingham. Gilbreath fairly noted that these eight pastors were in favor of ending segregation and that on a previous occasion, in January of ’63, they had responded to Governor Wallace’s infamous, “segregation now, segregation tomorrow, segregation forever” rant by issuing a public statement calling for the dignity of all people and asserting that all of Birmingham’s residents bear the image of God and should be entitled to the same “rights, privileges, and responsibilities” shared by the city’s white residents. But it was Gilbreath’s discussion of what happened before and after the letter that intrigued me the most. The events that followed the letter highlight the chasm between attempting to write the right thing (I’m not suggesting that their written statement was correct) and attempting to do the right thing. On Easter Sunday of 1963, one week before the letter, uninvited “black visitors” showed up at First Presbyterian Church and First Baptist Church to test Ramage and Stalling’s willingness to extend Christian hospitality and freedom of worship to African Americans. Both churches were wealthy, socially connected, and ambivalent about ending segregation. The pastors were calling for an end to segregation while many in their congregations were deeply committed to the status quo. As eyes watched to see how they would respond, both pastors faced a moral dilemma, welcome the guests and face the wrath of their congregations or turn them away and face the condemnation of their conscience. According to Gilbreath, both pastors listened to their principles and “chose Christian love over racial belligerence.” They extended a welcome and in doing so they sealed their own fate. With one exception, King never referred to the eight Birmingham pastors by name in his letter, referring to them only as “My Dear Fellow Clergymen.” The exception was Earl Stallings, the pastor of First Baptist. King called him out by name and commended him for his stand. After the letter appeared and the spotlight shifted to some other city, the congregations in these two evangelical churches demanded that their pastors consider the error of their ways and adopt policies of continued segregation. According to historian, S. Jonathan Bass, “Unlike so many white southern ministers, Ramage and Stallings had chosen to act as spiritual leaders rather than social followers.” Both men were forced out if their churches. Their decision cost them their jobs and their source of livelihood. I’ve written before, noting that much of my inspiration to advocate for immigration reform comes from King’s letter, and from the negative example set by so many conservative faith leaders of that day. Listed below are a few lessons that can be drawn from this account. Political issues like desegregation and immigration reform are morally complicated. We look back and assume that all issues were black and white, morally unambiguous. In reality, “knowing the right thing” is sometimes hard and at times leaders need to forge their way forward with much less moral certainty than they would chose. Even if there is agreement on a desired end result there can be significant disagreements about how to get there. Change is messy. Leaders, even great ones, have flaws. Looking back we have a tendency to view them as either entirely great or despicably bad. The vast majority are somewhere in between. King and Stallings both provide examples of God’s ability to use imperfect people to advance his kingdom. Significant social change often comes at tremendous personal cost to those who help bring it to pass. Those who are heroes today paid dearly at the time. Legislation can’t change people’s hearts. Immigration reform will occur soon, but when it does there will still be much work for people of faith do to make sure that our churches and communities reflect Kingdom values. The job will be done, not when the House votes, or when the President signs a bill. The job will be done only when our communities look like heaven, and when our citizenship in Heaven overshadows our citizenship on Earth. I’m indebted to King, Stallings, and Ramage for lessons in moral courage. I’m indebted to Edward Gilbreath for reminding me. ← Eleven Reasons Why Agriculture Supports Immigration Reform.